These were inexpensive to make (lots of hot glue & spray paint = burns, blisters, and paint fume buzzes/brain damage). They took a ton of my time and sanity.....but my kids really enjoyed the outcome. They got to be the center of attention and they won a radio disney contest vs. 300 other kids. It was all worth it! 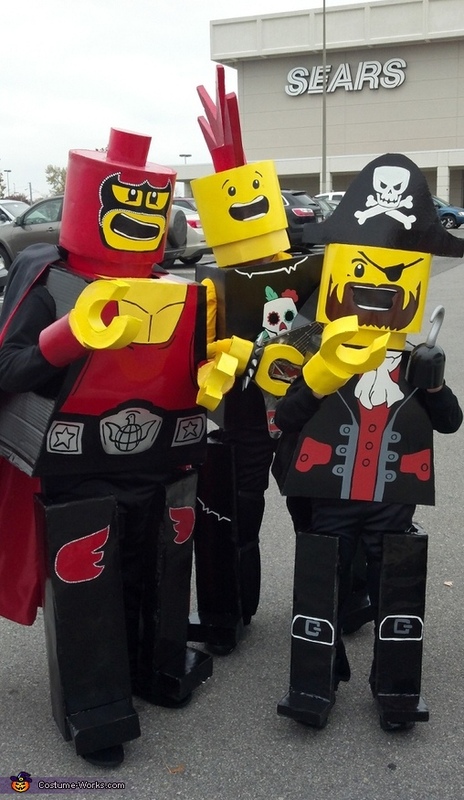 Do you sell, if so how much would you charge for a lego fireman costume? I would love to but I wouldn't have the time to do it at this point. I have to make my own child's costume yet! You should try to do it yourself...make it family project. Good luck and thanks for the offer!